Antioxidants are man-made or natural substances that may prevent or delay some types of cell damage. Antioxidants are found in many foods, including fruits and vegetables. 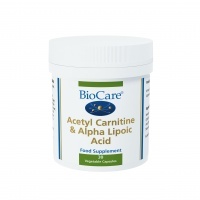 They are also available as dietary supplements. Examples of antioxidants include Beta-carotene, Lutein, Lycopene, Selenium, Vitamin A, Vitamin C and Vitamin E. You can read more details below the product listing. A. Vogel Hawthorn garlic Compex is designed to help with High Cholesterol, Angina, Mild hypertension and conditions associated with arteriosclerosis. 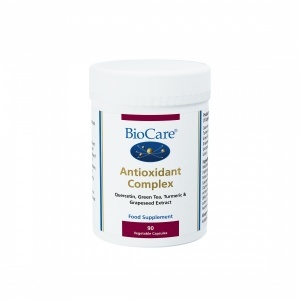 BioCare Antioxidant Complex is a potent and synergistic combination of natural plant extracts including flavonoids and carotenoids, with alpha lipoic acid and vitamin C, providing optimum antioxidant support. 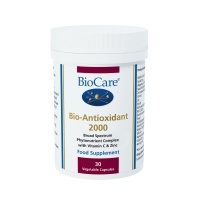 BioCare Bio-Antioxidants 2000 combines an extensive range of phytonutrients designed specifically to help address the body's daily requirements for Antioxidants. 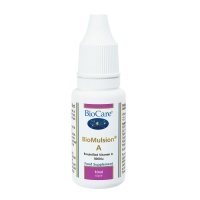 BioCare Bio-Cysteine is a sulphur amino acid health supplement involved in many essential metabolic processes. Provides nutrients that may help in maintaining healthy eyes and support microcirculation & integrity of the ocular tissue. BioCare Ginseng health supplement is used to support immunity & promote a feeling of wellbeing. 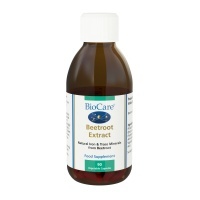 Provides Vitamins A, C, E, Zinc and Selenium. 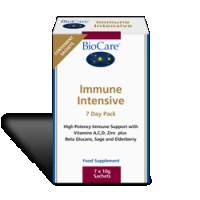 Vitamins A, C, Zinc and Selenium contribute to the normal function of the immune system. 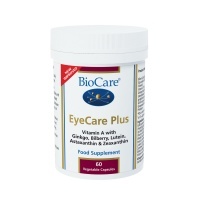 A liquid vitamin A health supplement to assist immune function & maintains healthy eyes, skin. 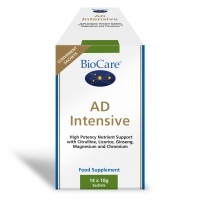 Potent antioxidant activity. 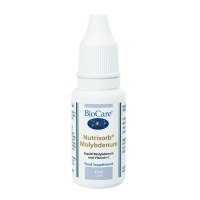 BioCare Nutrisorb Molybdenum is chelated to ascorbic acid for easy absorption.Ideal for those with absorption or who have pill swallowing difficulties. 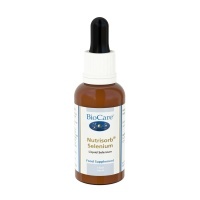 BioCare Nutrisorb Selenium liquid minerals are ideal for those with absorption or swallowing difficulty. 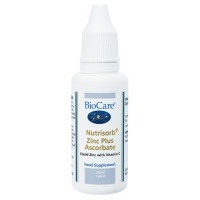 BioCare Nutrisorb Zinc Plus Ascorbate is for skin, hormonal, immune & reproductive health. 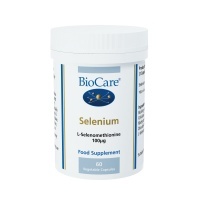 BioCare Selenium is a potent, easy to absorb Antioxidant, helping to protect cell membranes from oxidation. Antioxidants and your health. 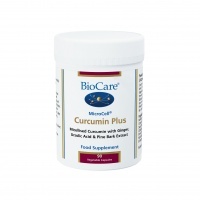 Consuming a wide variety of antioxidant enzymes, vitamins, minerals, and herbs may be the best way to provide the body with the most complete protection against free-radical damage. 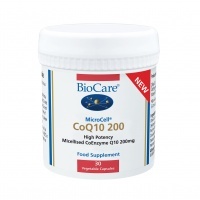 The body produces a few antioxidant enzymes, including superoxide dismutase, catalase, and glutathione peroxidase, that neutralize many types of free radicals. Supplements of these enzymes are available for oral administration. 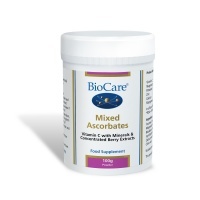 However, their absorption is probably minimal at best. Supplementing with the "building blocks” the body requires to make superoxide dismutase, catalase, and glutathione peroxidase may be more effective. These building block nutrients include the minerals manganese, zinc, and copper for superoxide dismutase and selenium for glutathione peroxidase. In addition to enzymes, many vitamins and minerals act as antioxidants in their own right, such as vitamin C, vitamin E, beta-carotene, lutein, lycopene, vitamin B2, co-enzyme Q10, and cysteine (an amino acid). 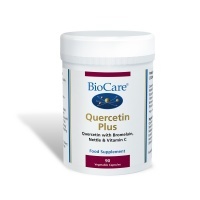 Herbs, such as bilberry, turmeric (curcumin), grape seed or pine bark extracts, and ginkgo can also provide powerful antioxidant protection for the body. An increasing number of antioxidant-rich "super-foods" are available, including mangosteen, kombucha, açaí, pomegranate, goji berry, and chia seed. 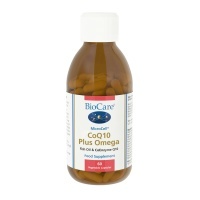 Oxygen, although essential to life, is the source of the potentially damaging free radicals. Free radicals are also found in the environment. Environmental sources of free radicals include exposure to ionising radiation (from industry, sun exposure, cosmic rays, and medical X-rays), ozone and nitrous oxide (primarily from automobile exhaust), heavy metals (such as mercury, cadmium, and lead), cigarette smoke (both active and passive), alcohol, unsaturated fat, and other chemicals and compounds from food, water, and air.